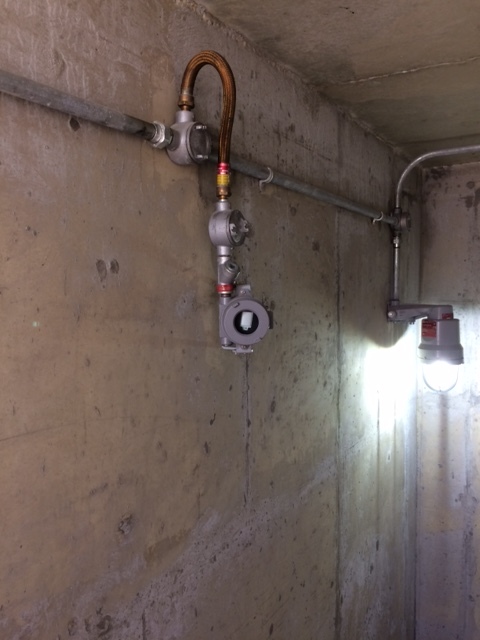 The Larson Electronics EXP-MS-N4X-AT-HV-V2 Explosion Proof Light and Motion Sensor is approved Class I, Division 1 and Class II, Division 1 flammable work sites. 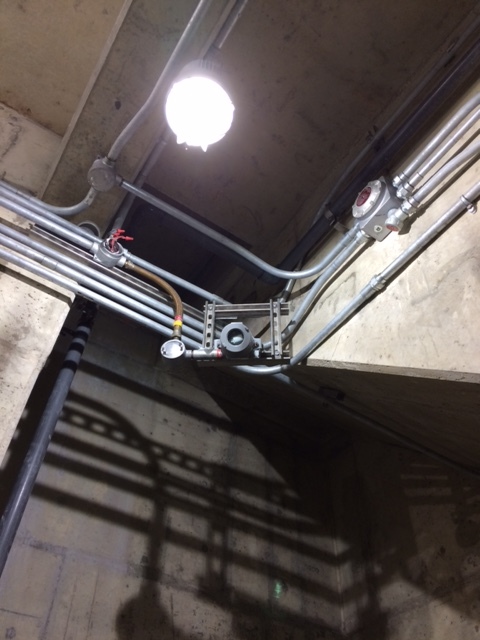 This device, which is capable of detecting both motion and light, is an energy efficient and automated solution to lighting controls in industrial facilities. The explosion proof unit can be mounted on ceilings or walls and features compatibility with 120-277V AC (universal). The EXP-MS-N4X-AT-HV-V2 is ideal for operators seeking a high quality explosion proof light and motion sensor rated for use in Class I, Division 1 and Class II, Division 1 flammable work sites. This explosion proof unit operates on 120-277V AC 50 Hz (universal) and features the following modes: Disable and Sensor. For motion detection, the sensor can detect movement at a rate of 0.5~3m/s. When connected to a fixture, the sensor ensures the lamp stays off when ambient light in the area is sufficient. At night, as the sensor detects insufficient ambient light in the environment, the device engages the fixture to turn on when motion is detected. During operation, the sensor adheres to the configured hold time. When motion is detected and the hold time is complete, the fixture turns off. Reach Setting: For best results, it is recommended to adjust the sensitivity of the unit by configuring the reach setting. 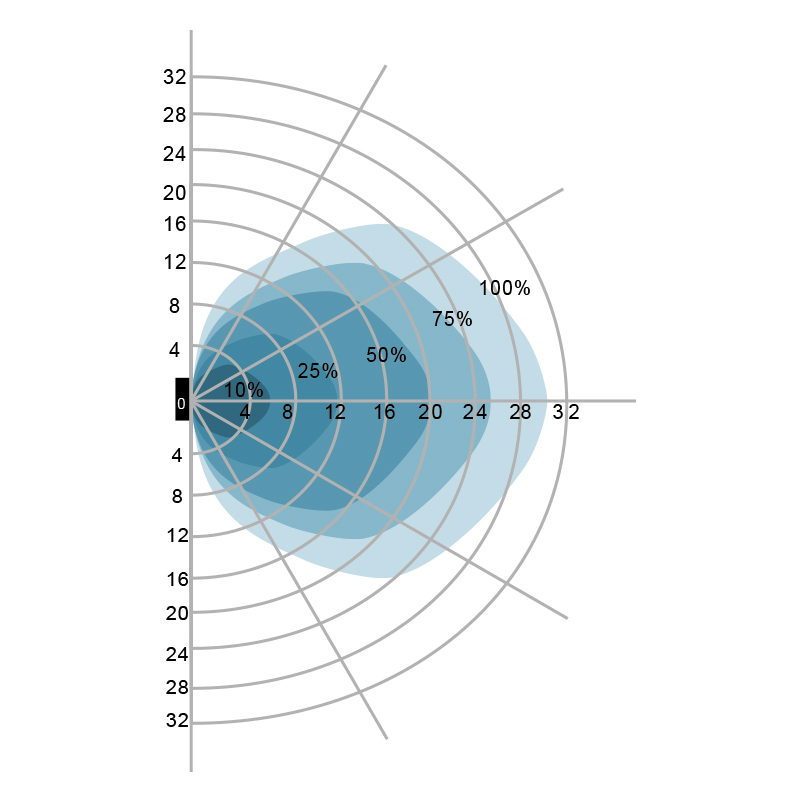 Reach is the term used to describe the radius of the circular detection zone produced on the ground. This device provides a maximum detection zone of 52.4` x 49.2`. 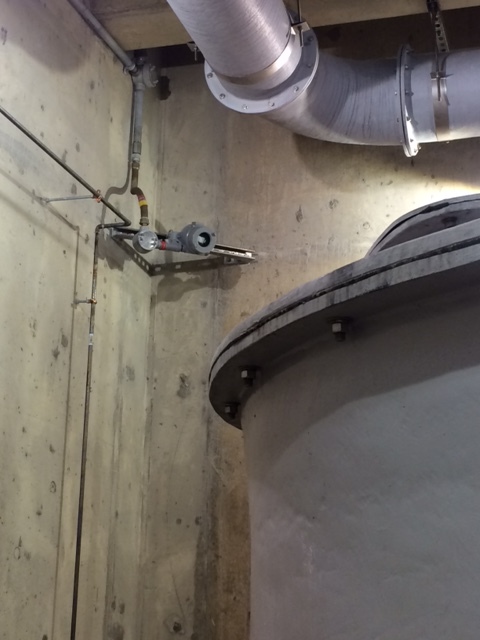 After mounting the sensor at the desired height, operators can adjust distance sensitivity. 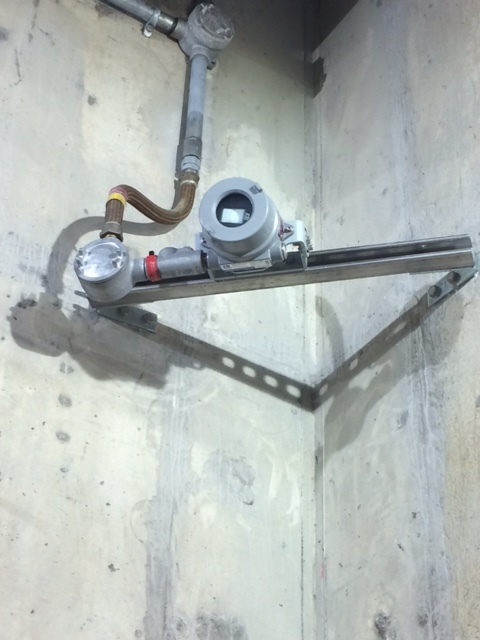 Mounting: The explosion proof motion and light detector can be mounted on ceilings or walls. 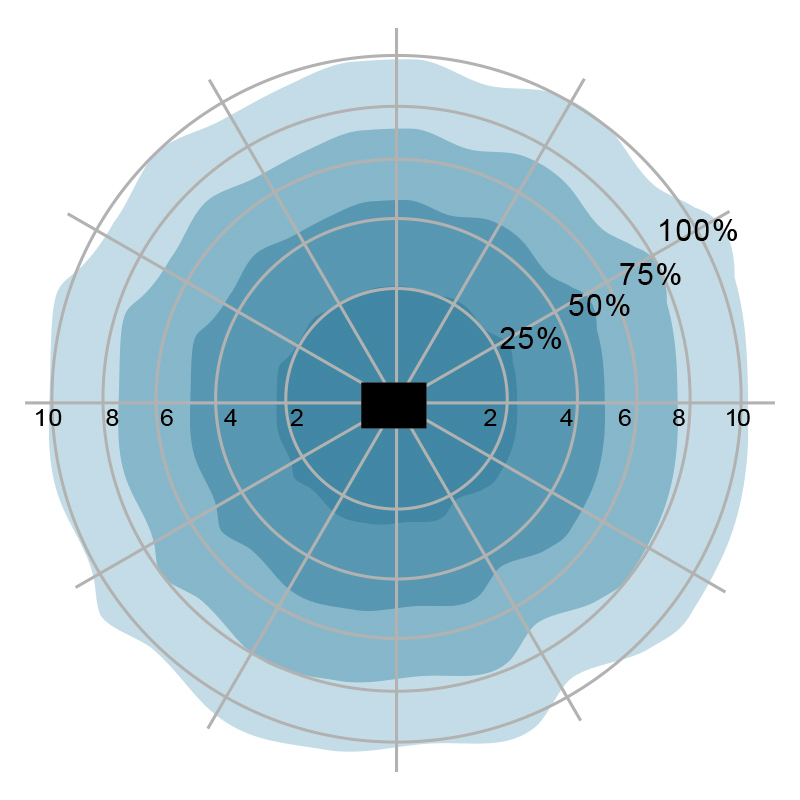 When mounted on the ceiling, the sensor offers detection at distances up to 59 feet (from the ceiling) and 360 degrees of detection (see chart). When mounted on a wall, the maximum distance of detection is 98.4 feet, with 150 degrees of detection (see chart).